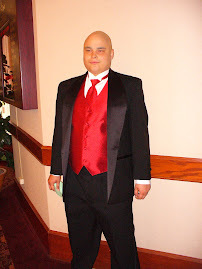 Read Earl's story and be inspired by a very young man, who against all odds became a man who will be remembered for years to come for the way in which he fought his cancer with courage and still managed to encourage others. Congratulations to this years NHL Alumni Ace Bailey Award for Courage our man Earl!!!!! Darby and I (along with 26 others) were there to accept the award for him. It was a grand event, but could never compare to the grandness of Heaven. Earl will be going back into hospital this Monday, October 29th to resume chemo on Tuesday. They are anxious to get going. Earl will remain on IV antibiotics for the duration of his chemotherapy. We are ready to continue the fight, and with the prayers, love and support of all our friends and family we go forward. The results of the pre-surgical chemo came back and Earl's response was only 10%. In light of this they are changing his chemo and hopefully it will pick up and have a more positive effect. Earl is getting around much better these days and in fact he started walking with one crutch for short spans this past Wednesday. He also rode the physio bike and was thrilled when he was able to make one complete rotation, and then two and three and so on. He was so happy. 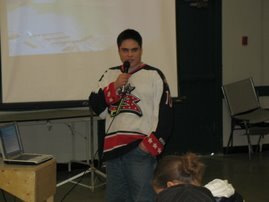 The next big exciting news is that TSN (the sports network) contacted us and they are going to do a story on Earl as a Special Olympics Athlete. 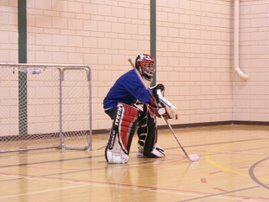 It will include his cancer, his love of hockey, his Floor Hockey Team and their journey to The Special Olympic Winter Games in Quebec City this February. 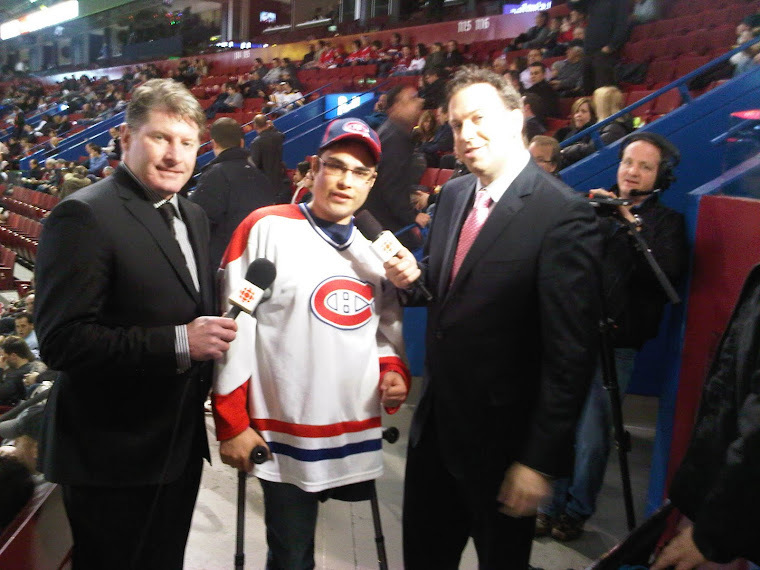 The story will air on TSN on November 10th time TBA, which is a day that TSN focuses their programing on Special Olympics. Pretty Cool and Earl is so looking forward to it. We are still not sure at this point if Earl will be able to participate, but he will be going to the games. Posted by A Journey with Cancer at 1:41 p.m.
Well, it certainly has been too long since I updated this BLOG. Earl is recovering well from his revision surgery and is doing great with the IV antibiotics. He is feeling pretty good, except for a bit of a pull in his quadricep. The Great News is that Earl took his first weigh-bearing steps today. He was so happy he cried. I wish I would have had my camera so that I could show all of you the joy on his face. We did visit Dr. Wong (Earl's oncologist) yesterday, and at the time of the visit he wasn't sure what the next step will be. This infection has complicated the plan for follow-up treatment and he would like to confer with other Dr's, before deciding how best to continue Earl's treatment. Earl has been a bit down lately and would love to hear from his friends. This battle is not over and we still need the support of you our family and friends. So please keep in touch. Posted by A Journey with Cancer at 6:33 p.m. Dropping the puck...what an Honor! You might want to feel sorry for me! Earl's get's the practice started! Even Earl has a job to do! Earls give Hank's jersey a hug after he hangs it in the stall. Now Paul...this is what you should do! "I should let that person know I care about them." Well here is your chance! If you know Earl, you know that he loves everyone with a big heart. He also loves to be loved. As he goes through this difficult journey, would you join him? Keep in Touch! Earl's shares the experience with friends. Earl & Darby had the awesome opportunity to go to Calgary for a few days to visit the Olympic Hockey Camp.